The example presented here is the best that we have seen of this very rare model of car. Fastidiously maintained and presented in its original colour of Pine Green. The car has an extensive history folder which contains photographic evidence of considerable metal work carried out by ourselves in the mid-nineties. Further to this there are a raft of receipts from other specialists and a concours winning certificate from 1996. This car has been looked after for all of its life and it is clear to see. 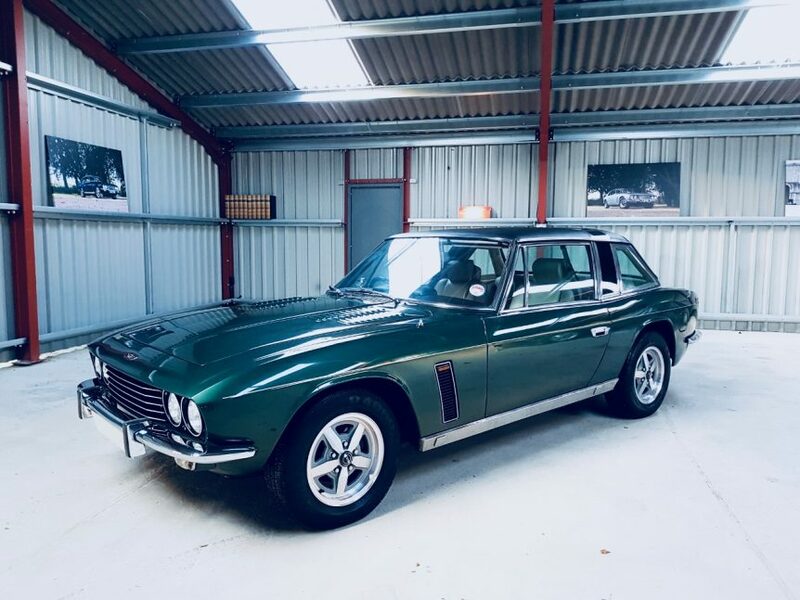 This is a great opportunity to own a very rare and interesting piece of the Jensen story. Born out of financial necessity, the rarest of the Interceptor variants was the Coupé version introduced in 1975; just over 39 were registered in the one year remaining to the company before its demise. The administrators that took over Jensen in the final months wanted to see if the company could trade its way out of trouble. With several Convertible bodies still available the decision was made to build a Coupé style roof onto the convertible body hence the Coupé lacked the traditional rear window of the regular hard top car.